March 9, 2007: Inbox.com is giving away free iPods, movie tickets and gigabytes. Invite Friends to View Your Photo Album and Win Free iPods, Movie Tickets or 1GB of Extra Storage for your Inbox.com account. Do you want to win some of our valuable items? It's easy! All you need to do is invite your friends to view your Inbox.com photo album. we will upgrade your account by adding 1GB storage. we have prepared 100 tickets, 2 per album. their owners receive a free iPod. 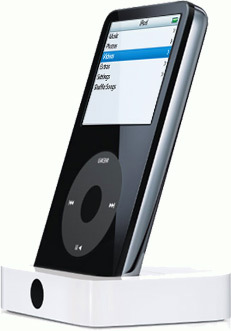 Enjoy an iPod for music, photos, etc. 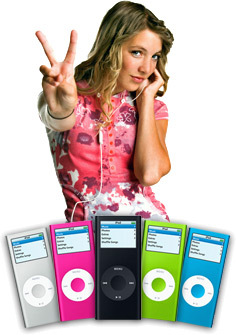 We will give away one iPod 30GB and two iPod Nanos 2GB. We have 100 tickets ready to give away. You can receive two tickets accepted at almost any theater in the US, good towards any show time. Visit www.hollywoodmoviemoney.com for more information. Photo Competition will start on 3/12/2007 and end on 4/12/2007. The winners will be announced shortly after the expiration of the Photo Competition by email and in the Inbox.com News section. All prizes will be distributed in April and account upgrades will also be done in April.